Join us at the Brew Ales & Eats in Detroit Lakes Sunday, December 11th from 11am-1pm for FREE pancake decorating for the kids (you have never seen or tasted pancakes like these before!) and time to sit with Santa and tell him all about your Christmas lists and housing wishes for 2017. Also, if you would like, please bring an unwrapped gift for a child in need and we will donate them to Toys for Tots! 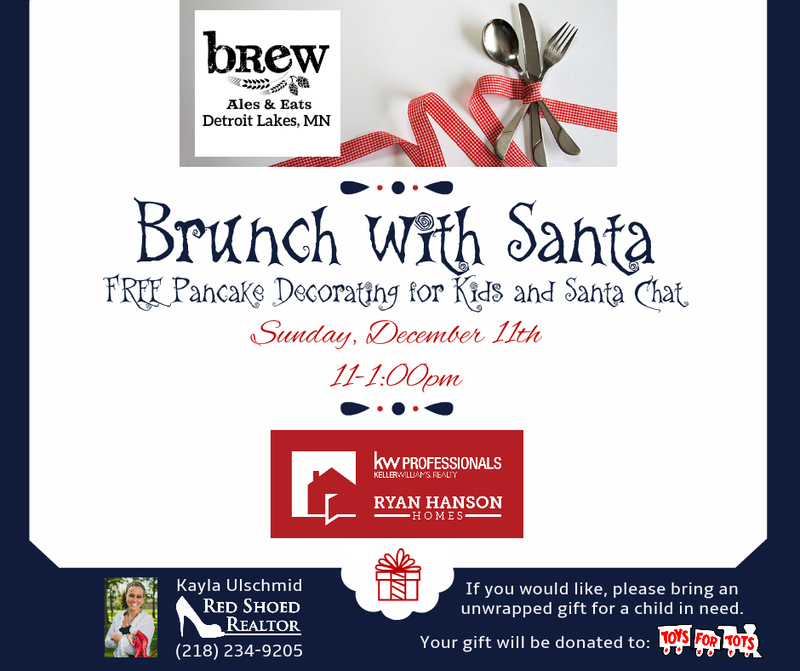 Kayla Ulschmid with Ryan Hanson Homes- Keller Williams and the Brew Ales & Eats is spreading the Christmas cheer and it will be contagious! We hope to see YOU there!